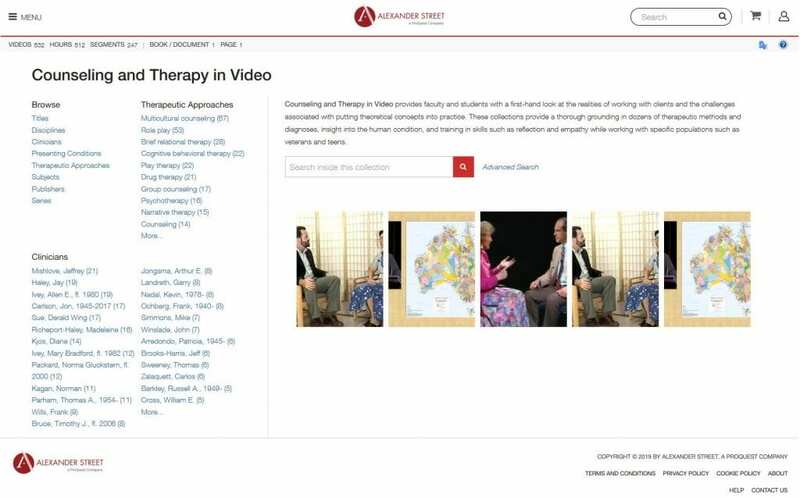 Counseling and Therapy in Video is an online database which may be of interest to students, researchers and academics from the health and social sciences. The database provides access to videos (in the form of instructions, lectures/presentations and documentaries) which demonstrate the realities and challenges of working with clients and the challenges of putting theoretical concepts into practice. Subjects covered include behaviour, child development, crime, communication, culture, mental health and psychology.